KoopaTV: Hurricane Irma: CRISIS in Florida! Rawk Engulfed?! Hurricane Irma: CRISIS in Florida! Rawk Engulfed?! By LUDWIG VON KOOPA - He was warned not to go, but noooooo. Have you noticed that KoopaTV staff member RawkHawk2010 has been a lot more prolific lately? He published three articles in the span of one calendar week at the end of August. (Read his takes on that solar eclipse, turtles in Dragon Ball, and Mario + Rabbids: Kingdom Battle that ended up being a top five recommended article in August) ...There's also a lot of stuff from him that are sitting as drafts. As a reward (and to get him out of the way so I can take control of my own site's publishing schedule), we sent Rawk on a leisurely vacation to Florida! I mean, after all of that stress dealing with natural disasters with our KoopaTV office in Sierra Leone, a vacation in the tropical paradise of Florida is just the incentive a KoopaTV staffer should want! - Bravura Blaze on Alabama. Look! There's a bunch of doves perching on a power line. 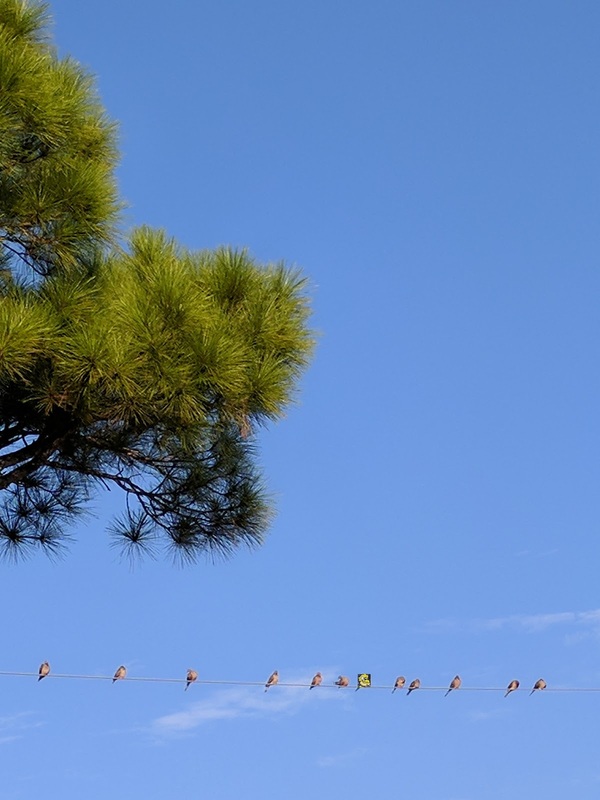 Rawk wants to perch with his fellow avians as well, basking in the beautiful, perfect skies in Florida. ...But, wait, why are the birds all perching on a power line? Apparently, they detect some kind of... trouble. Like a hurricane? There's a massive hurricane heading for Florida named Irma (as opposed to Hurricane Ike or... Ivanka) that promises to destroy the entire state of Florida. Whether or not we can trust Irma to keep its promise is up for debate, BUT... Rawk is probably in danger. Kamek, being a pretty good prognosticator and worldly fellow, warned Rawk that this hurricane would be coming ahead of time and to not take his vacation. Rawk demanded that he take his vacation because he knew that KoopaTV wouldn't get refunds on his plane ticket or reschedule his vacation for another time. And so, Rawk went to Florida for vacation, knowing full well that Irma would also be taking a vacation to Florida at the same time. Maybe Rawk is secretly dating Irma or something, and that's why he wants to see Irma. I don't think it's a coincidence that they're both converging to Florida at the same time. Back in the wrestling world, Rawk's old nickname was “The Feral Nuclear Reactor”. Irma's nickname is “The Nuclear Hurricane.” CLEARLY, THEY HAVE SOMETHING IN COMMON. Rawk has a very real chance of getting killed if his romantic skills aren't good enough. And, believe me, they're not. You think Irma is going to let Rawk just go home after being a crappy date? No way. He's not going to pay for her dinner with money (which he doesn't have as an unpaid KoopaTV staffer), but with his LIFE. Meanwhile, some corporations may get pay-outs from Irma. I'm convinced that Nintendo is having a theme park built in Orlando (which will be affected by Irma and many hurricanes to come) to get some kind of insurance money. I don't really understand why anyone would build ANYTHING (much less live) in a perpetual hurricane zone. Plus, there's a high cost of living. The only benefit I can see is that Florida is one of the only states in the country that Nintendo cares about and will have events in. I'd say vote for Team Plane over Team Car, but the airports are shut down now, too. I guess innately being able to fly would help yourself evacuate! While Rawk may be a bird... he cannot fly. If you think that Ludwig should go on a vacation for all of the hard work that he puts into KoopaTV every day, let him know in the comments section below. Alternatively, if KoopaTV's standards for granting vacations seem too low to you, your input would be valued for that. In May 2017, KoopaTV was concerned that staffer Vortexica may have been killed in the Manchester terrorist attack. In April 2016, KoopaTV was on a hiatus due to the Royal Koopa Family getting Zika. By May 2015, one of KoopaTV's staffers actually had been killed by ISIS and never seen ever again. At the end of October 2014, the whole KoopaTV staff was quarantined due to possibly getting Ebola. Incidentally, I live in Florida. Like, full time. Not on vacation. I have a HOME here that might be in danger. But YOU won't be in danger? I doubt many lives will be in real danger except for the south portion of Florida. This won't be my FIRST hurricane. But it could be your last. Wot hurricane have you encountered after Irma? Well nothing YET but it's inevitable that I WILL. Unless I succeed at finally getting out of this crazy state so quickly that another one didn't have time to show up. In which case I would JOYOUSLY concede this argument. I started packing as soon as I heard the mandatory evacuation order on my phone. If we had stayed, we would have been without running water and electricity. Plus, the tree limbs that covered our driveway would have landed on top of our vehicles. What was Rawk possibly thinking as he headed into the path of the storm? He's probably looking at how Irma has turned into a weak old woman over the span of the weekend. Overrated!